Please make sure you make your online reservation as soon as possible to get onto our reservation database. We are usually booked as much as one month in advance! Please note: we are glad to treat small medical issues at the time of care, however there may be an extra charge for cases requiring special attention. Please make sure you provide us with a working phone number in case we need to reach you during SpayDay. In 2015, the Animal Coalition of Tampa (ACT) provided 11,033 animal spay/neuters, as well as 14,521 veterinary vaccinations at affordable prices for the Tampa Bay community. In addition, ACT provided pet wellness exams, veterinary follow-ups, and dental procedures at discounted rates. In 2015, ACT continued to partner with the Hillsborough County Animal Services (now known as the Pet Resource Center) to offer spay/neuter vouchers to the pets of low income and disabled clients. ACT spayed/neutered & vaccinated a total of 3,054 pets through this voucher program at a cost to clients of just $10 per pet. The voucher program helped prevent overpopulation of cats and dogs, which in turn lowers euthanasia and unwanted pets being taken to animal shelters. Pets are healthier and are vaccinated against disease. Surveys show that often these are pets otherwise might not receive veterinary care. As a result of doing what they know is the right thing, clients receive the benefit of a happier and healthier companion animal. 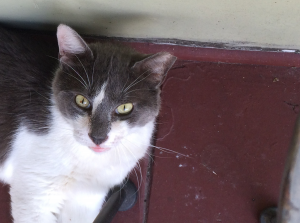 ACT’s Program SpayDay addresses some of the very most vulnerable members of our society ‚ the feral cat population, which is often prone to discrimination and persecution. 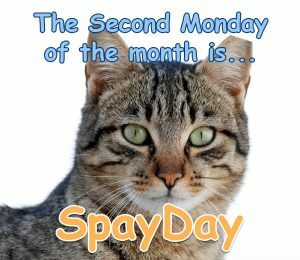 On the second Monday of every month, ACT invites volunteer surgeons and technicians to the clinic to spay and neuter feral cats brought in by concerned cat lovers. The cost per cat brought in is only $10 and this low cost makes the program affordable, and makes stabilization of the feral cat population affordable. Cats are spayed or neutered, given three year rabies shots, distemper, penicillin, de-wormer, ear mite treatment, flea treatment, and the lifesaving ear tip that identifies them as an official community cat. The caregivers then pick the cats up and return them to their designated colony. This procedure is referred to as ‚trap, neuter, vaccinate, return‚ (TNVR) and it saves many lives by stabilizing the colonies and keeping the cats vaccinated. ACT embraces the success its programs have seen at the Pet Resource Center. With shelter euthanasia down from 82% to 15% since ACT opened its doors in March 2000, ACT expects to expand its low cost services by another 20% in 2016. Your support inspires us. What are Spay & Neuter Clinics? Project SpayDay holds monthly spay-neuter clinics, where a team of veterinarians and a support staff sterilizes from 100-150 cats in a few hours. Originally, the clinic was moved to various veterinary clinics in Hillsborough County to make it more available to the caretakers. Now SpayDay is based out of Animal Coalition Tampa’s clinic located at 8501 Ladue Lane, Tampa, FL 33614. During SpayDay, cats are sterilized, vaccinated, and discharged to the caretaker the same day. Project SpayDay permanently crops the left ear of all cats altered to identify each cat as a community cat. 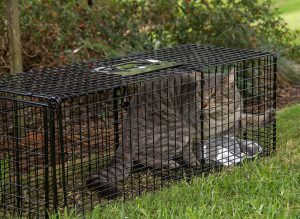 The plight of feral cats has captured the hearts of animal lovers for many years, but only recently has a non-lethal option for their care become available. Called a Trap-Neuter-Vaccinate-Return (TNVR) program, this humane alternative involves spaying and neutering feral cats, then returning them to their colonies where they are looked after and fed by caretakers (An estimated 12% of families in the US take on this role). This solution successfully decreases the population, reduces birth rates and improves the overall health of the colony. Performed at a large scale, the success of such programs is felt at animal shelters where fewer cats are admitted for euthanasia. The plight of feral cats has captured the hearts of animal lovers for many years, but only recently has a non-lethal option for their care become available. Called a Trap-Neuter-Vaccinate-Return (TNVR) program, this humane alternative involves spaying and neutering feral cats, then returning them to their colonies where they are looked after and fed by caretakers (An estimated 12% of families in the US take on this role). This solution successfully decreases the population, reduces birth rates and improves the overall health of the colony. Performed at a large scale, the success of such programs is felt at animal shelters where fewer cats are admitted for euthanasia.